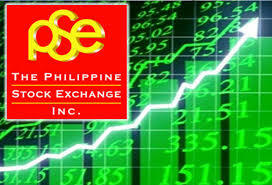 Once again PSEi set a record of an all-time high at 7,313.460 a day after the election. It only means that investors have trust on the recently concluded election. In addition a new intra-day high was likewise hit at 7,349.95. It is 30th record breakout for the year and the 91st under the Aquino administration. This sign is really good for investors because they could see gains from their investment. People who are not yet investing will not really feel the effect of the economy. I believe that it’s high time for people to go to Investment. If you don’t know how to read graphs, and if you do not understand how the stock market works, I believe that is now high time to learn about this things. If you want to start you can go to banks or Mutual Fund Company and ask about equity funds. Equity funds performance depends on the stock market movement. Just make sure that you know the risk that you will face in going to stock market. Investing in stock market could give you a really high profit but likewise it could also give you a very high lost. The higher the Risk the Higher the possible gain and the lower the Risk the lower possible gains. Your investing appetite will determine the type of investment that you will push through. If you invest in equity funds, you will not bother about fundamental analysis and technical analysis of a certain stocks. But likewise you will not also have any part in decision making about which stocks to pick or to sell. The beauty in stock market is that you control your investment but if you do not know this things better go to equity funds then learn about stock market. 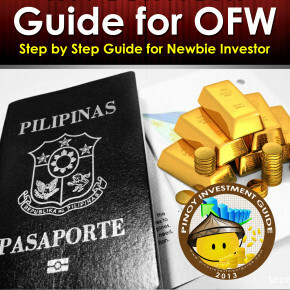 Happy investing and I hope that many OFW will start investing and not just waster their money in gadgets and useless wants.